Last night, under the cover of darkness, members of the illegal alien caravan began climbing over the border fence. They didn't try to rush the checkpoint. 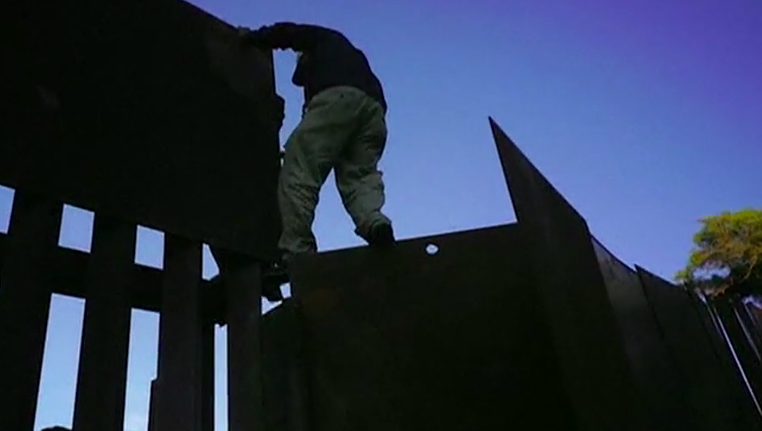 Instead, they walked until they found the border fence less secure and easier to climb over. It is a stark reminder of what awaits us if Paul Ryan surrender plan succeeds. Congress just agreed to pass yet another spending package that blocks and outlaws border wall construction. The short term bill funds the government through the end of the month. The GOP knows that if they can block the border wall funding one last time, they can hand the House over to the Democrats and have them stop the wall from being built. This is it. It is now or never. If Congress does not approve the border wall now, Pelosi and the Democrats will get the power to keep the border open for the remainder of the Trump Presidency! The President thinks he's all alone. He is fighting the Courts, Obama holdovers in his administration, and even the GOP leadership in Congress. But he isn't alone... he has you! Please, help the President secure the border and protect this country! Send your instant and urgent hard-copy letter to Congress right now and FORCE them to fully fund the border wall, or else be removed from office! With George HW Bush's passing, Congressional leadership has decided to pass a short term Continuing Resolution to keep the government funded through December 21. Once again, they are forcing the President to sign a spending bill that appropriates ZERO funding for border wall construction. Late last night, we saw members of the caravan start to climb over the border fence to invade the United States. They didn't rush the border checkpoint like before. They walked a mile or so until they found a section of the border fence that was unsecured and short enough for them to climb over. This is the reality on the ground. The border is not secure. Any illegal alien willing to walk to the edge of the tall segments of fence can simply hop right over and jump into the country. The only reason that these caravan migrants were able to invade the United States is because YOU refuse to fund the border wall project. How can you possibly live with yourself? You have received the briefings. You know the criminals and drugs that pour across the border, not to mention the serious national security concerns. There is video running this morning of small children climbing over the border fence and falling into the United States. If a child can climb our fences, how could you possibly expect to keep out drug traffickers, gang members, or even terrorists? President Trump is the first President to actually make border security a priority. His administration held trials and allowed companies to submit impenetrable border wall designs for testing. The Department of Homeland Security settled on a couple different designs that were so well designed, US Special Forces had troubles busting through or climbing over them. Enough is enough. I need you to understand something: If the border wall is not fully funded -- and I truly mean fully funded -- before Pelosi takes over in January, there will be hell to pay. You CANNOT let Paul Ryan and the GOP run out the clock. I don't care what it takes. I don't care what political capital you have to spend to get it done. Put full border wall funding onto the President's desk now, or I swear you will regret it!